As part of our annual S-Chassis celebration, the Speedhunters team was asked to pick out some of our favorite and most influential S-chassis cars. We didn't want to the leave the readers out, so we've put together a poll asking you guys which of our selections you think is the best. Take a look through our list and vote in the poll below! 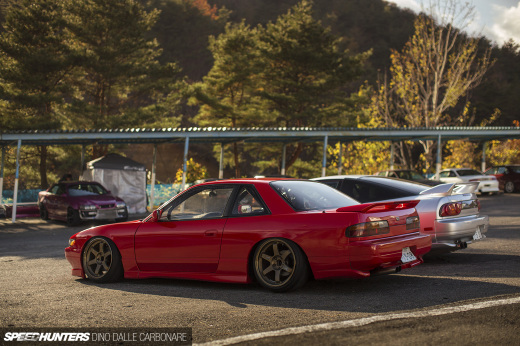 the tra s13 is very much the business. You're kinda crossing different timeframes here with the Koguchi and Kazama cars from 2003/2004 and then all the other newer cars. Most of the new cars were influenced in one way or another by the older cars. Personally, Koguchis car is one of my top 5 all time favorite S chassis cars. I vote for Dai's S13. So much development and some serious fabrication chops combined to produce a world-class drift car. However, I love seeing Koguchi's black car in motion. He's so fluid, and the car's so well set up that it's nearly impossible to be mesmerised. how could koguchi not win this? Koguchi all the way between these S's..
Voted Koguchi, his car back then was so so sweet and there's barely anyone now that could do it properly. He's actually drifting it too. 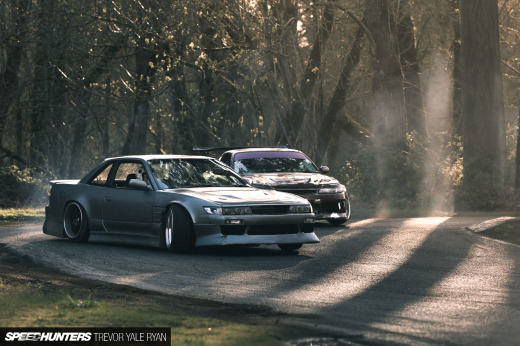 Anthony Scott - Rocket Bunny S13 is just right for me..
Koguchi all the way. Oldschool rocks! Koguchi's black 180sx all the way. I was in Japan at the time and I spotted a new release vhs called drift tengoku vol 1. "Ah yeah this looks cool" I thought, little did I realise the massive impact it would have on my life. Koguchi's 180sx is King, forever burnt into my mind. Total respect. Kazama and NOB are Gods in Drifting. How did kuroi's onevia not make it on the list? the greatest s-chassis built EVER!!! Benson's sil-eighty (remember sileightymania.com) and the Signal twin cars should be on this list! IF I have to choose, I'm going with Koguchi. Koguchi Black S13, of course!!!!!! I'm suprised the S13's of Kawabata & Kuroi arent on the poll. Where the *uck is arcenals s14?? Where is the RWB S15? Exceed moat, and of course Scorch s15???!!! Koguchi needs to win this, for the sake of the history of awesomeness. is this list serious? THESE are the S chassis all stars?! I gotta vote for the S15, because drifters have ruined the S13/14 for me. Sorry guys! Koguchis car. Because none of these others would be here without it. the wkd imports (kris meeke) was originally martin ffrench's car. Matt Powers' s14 was the definition of what a street drift car should be. Wasn't always the prettiest, but it had so much swagger. The kinda car that looked better when its bumper was held together with zip ties and duct tape. The owner took it out, thrashed without reservations, and then went home and babied it like no tomorrow. That's how a relationship with your car should be. You didnt have any very well S15's. S13's can be extremely pretty, S14a is just pretty as stock, and many ruin them. S15 well done wide (rauh welt S15 for example) beats all the other S chassis. Koguchi, no contest. I think the entire global population has watched the clip of him lapping Nikko in that car. 180sx king. 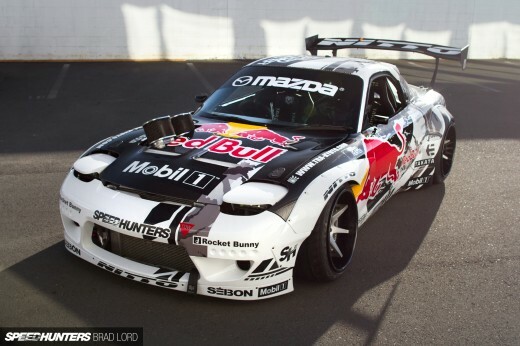 I do not understand why Walker Wilkerson's S13 is not on the list?!?! How could matt powers is not in the lead he a good drifter and his car low with deep dish all you need in a nissan to make it perfect???? A while back you posted a block 180sx and a green silvia made by welding something or other. I vote for them.